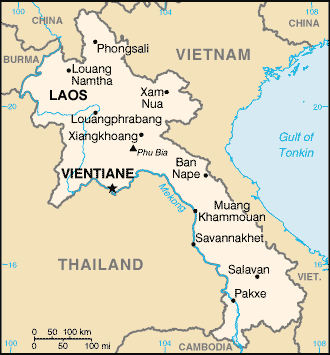 In 1995, a total of 1,850 members of the Poussang ethnic group were counted in Laos. The Poussang population is comprised of 340 families living in eight villages (Poussang, Khen Chang, Chaxu, Foussang May, Foussang Kao, Nong Keo, Khen Chang May and Khen Chang Kao). There are actually two separate areas of Poussang habitation in northern Laos. 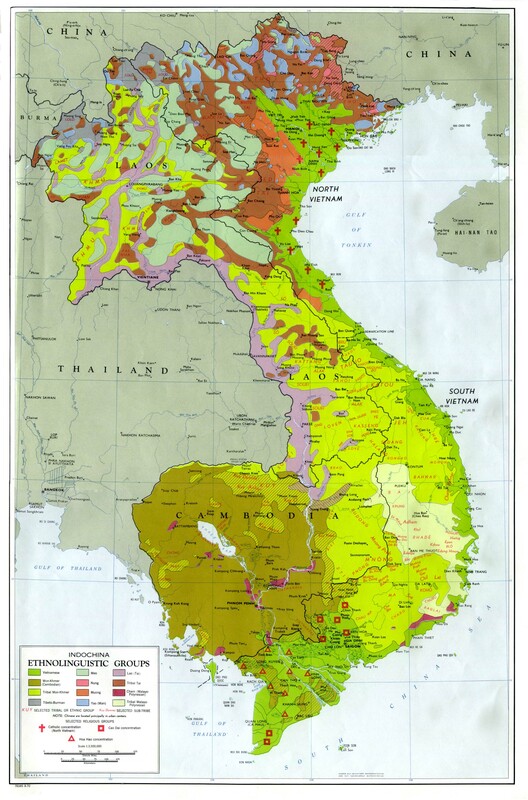 Most of them live at the juncture of four districts (Samphan, Khoa, Boun-Tai and Mai) in the southern part of Phongsali Province. Another community of Poussang lives in the Namo District of Oudomxai Province. The villages of the Poussang are in isolated forests, situated at altitudes between 800-1,200 meters (2,620-3,930 feet) above sea-level. Their nearest neighbors are the Akha, Lu and Khmu. The homes of the Poussang are constructed of bamboo and wood. Animistic rites are observed whenever a new house is built, to ask the blessings of the spirits on the home and its occupants. The Poussang are an isolated, little-known people. In 1993, most Poussang people still did not use Lao money, but rather used goods to barter and trade with other groups. The Poussang language belongs to the Tibeto-Burman language family. It has never been studied in detail, but is believed to be partially related to Akha and possibly Lahu. Information about the Poussang is scarce because the Lao government does not recognize them as a distinct ethnic group. It is unclear what minority group they were counted under in the 1995 census. The traditional dress of the Poussang is similar to that of the Eupa Akha and the Kucong. The Poussang claim they originally came from China, as do all Tibeto-Burman speaking groups in Southeast Asia, but there is no record of a group by this name in China today. Pre-marital sexual relations are encouraged by the Poussang elders, who also organize religious ceremonies and decide what new ideas should be allowed into their communities. The Poussang are animists. They also worship their ancestors at set times throughout the year. There are no known Christians among the Poussang. They are still waiting to hear the News of Jesus Christ for the first time throughout their long and difficult history. * Pray that Christians would soon focus on the Poussang with the Gospel message. * Ask God to send evangelists to the Poussang soon. * Pray the Poussang elders would not feel threatened by the introduction of the Gospel, but would welcome it. * Pray for Gospel messages to become available in audio format for this people group.View Poussang in all countries. Location in Country: Phongali and Oudomxai provinces, Samphan and Namo districts.